Microsoft bans April fool pranks? Microsoft bans april fools pranks? As you know April fools day is in a couple of days time and it's the one time a year where companies tend to pull a prank on us... Well not Microsoft, since they banned the pranks this year. The prank they wanted to do that caused the ban in the first place, was to bring back Clippy. Meet Clippy, the personal assistant from Office 2003 and older. 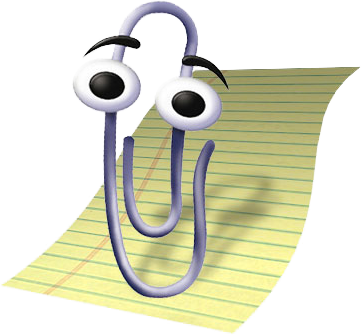 It's a "Early version" of a AI assistant as you was able to use Clippy for help with word documents , formatting , spellings etc. it was commonly seen in Office 2003 and older version. It died when office 2007 came out and introduced the fluent design with the ribbon for tools. and we have not seen Clippy since. So why would Microsoft ban April fools day because of clippy? The plan was to bring back Clippy for Aprils fools day then kill it off again the following day, which isn't really a good idea. Their idea was to turn Clippy into an animated pack of stickers. for Microsoft's internal company's Team's chat software. In a statement to the verge, Capossela shared this internal memo across the company. Please forward to your teams and internal partners to ensure people are aware of the ask to stand down on external April Fools’ Day activities." We feel like other tech companies may follow suit soon but not after they have their fun on April fools day which is a 500 Year old tradition. What's your thoughts about this. Do you like April fools day?